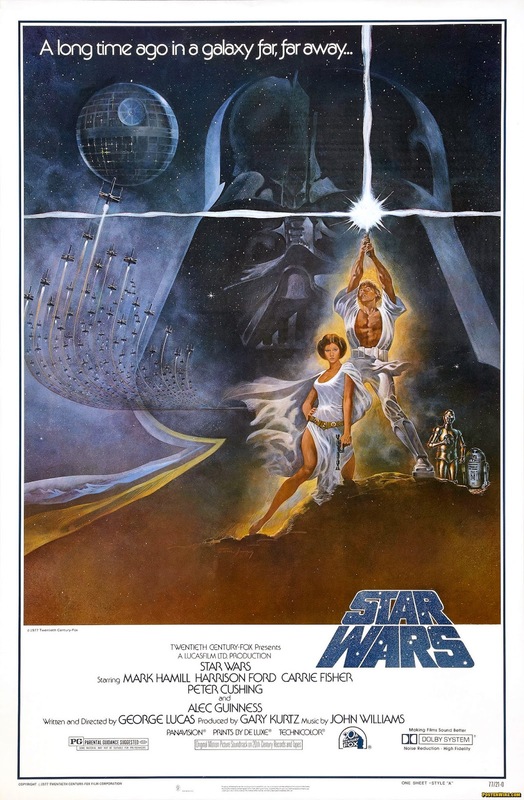 A blog about Star Wars (Episode IV A New Hope) the first time around in the 1970s. Including production, first release, reviews, merchandising, the novelization, Super 8 movies, Marvel comics and more. Its appearance at the very beginning of Star Wars is a great moment in cinema. But until recently, I had never given any consideration to the origins of the film's famous logo – and it turns out to have a fascinating history. The logo fills the screen at the same instant as John Williams' music explodes into life on the soundtrack. Then it recedes into space to make way for the opening title crawl. Not too many film titles are displayed as excitingly as that. And when you think about it, not too many film titles appear on screen in the same form that's used in print. Yet the Star Wars logo that we're all so familiar with was not originally intended to appear in the movie. The graphic that was supposed to begin the film was created by Dan Perri, who designed the rest of the text. Perri's version ended up being used in most of the first generation posters – but in the movie, it was replaced by a logo that was originally intended only to appear on paper. The logo as we know it was largely created by Suzy Rice, an artist at Seiniger Advertising, a design studio working for 20th Century-Fox. She had been responsible for logos for other Fox films that year, including Smokey and the Bandit. Rice tells the story of the logo's creation at length on her own website and recalls that no one else in the design studio was keen to take the job. 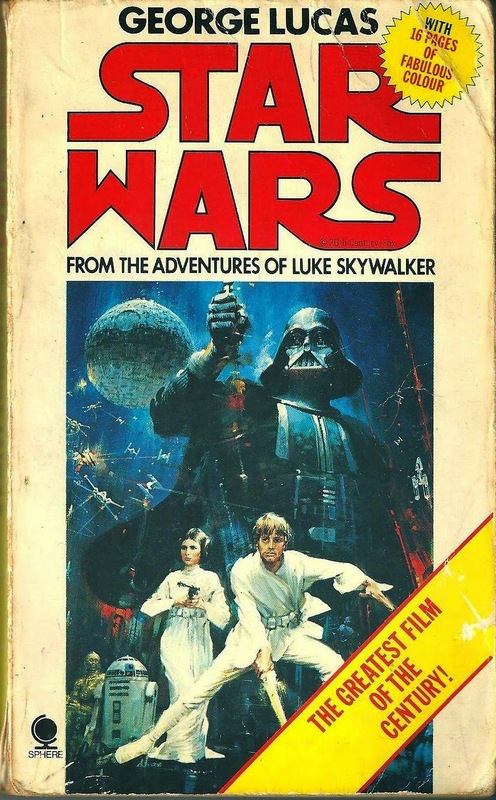 The agency's contract was with Fox rather than Lucas himself, and word had spread that Lucas “had been repeatedly rejecting image work – logos, advertising – that Fox had been obligating him and the film budget to cover". The brief was to design a 'bid brochure' for Fox to send to cinemas, encouraging them to book the film. “The logo was originally intended for the front cover of the bid brochure, and for application to other print advertising and sales packaging materials: a shipping box for the brochure, some special tape with the logo repeating on it to seal that box, the logo, the brochure itself,” Rice writes. What strikes me about the Star Wars logo, once you start to examine it a little more closely, is how much its treatment has varied in print, yet how instantly recognisable it has remained. Sometimes the text has been printed in outline, sometimes filled in. The colour of the outline has changed frequently. The letters have been infilled in with white, blue, red, silver, gold. The words that Rice “stacked and squared” have sometimes been printed on the same line. And the shapes of the letters have even been stretched. And I’m talking here just about the variations that could be seen in 1977-78. Since then, the shape of the logo has settled down, but the colour has changed over the years according to successive marketing and merchandising campaigns. Rice hit on a design that would lend itself to enough variations to remain fresh for decades. And I’ll bet there must be kids all over the world who have, at one point, tried writing their name in that Helvetica-derived font – and been slightly disappointed if there was no way of joining some of the letters together like the ‘ST’ and the ‘RS’ of the movie. Interesting stuff Darren. Charles Lippincott has written quite a bit about this on his Facebook account. He disagrees with Suzy Rice on several points though, especially with regard to some of the alleged meetings with George. Charles reckons george was just too busy to meet a graphic designer at that point. Did Elvis Presley see Star Wars? Star Wars on CD: Which soundtrack releases are the best? Part two.